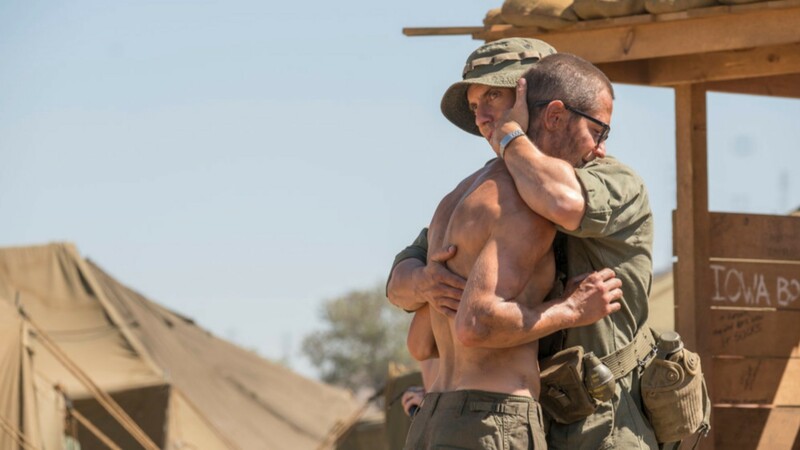 Just when you thought This Is Us couldn’t get any better, the tear-jerking NBC drama trotted out a Vietnam storyline fans are currently living for. A huge part of the emotional resonance of that arc has to do with the relationship between Jack and his brother, Nicky — a character that actor Michael Angarano, who plays Nicky, says fans still have much to learn about in the coming episodes. Tuesday night’s Thanksgiving episode of the series certainly pointed toward as much, unraveling even more of the mystery surrounding Angarano’s Nicky. Thus far, what little fans know of Nicky isn’t exactly good. In the past, Jack has been his brother’s protector — a role we saw him filling when trying to help Nicky dodge the draft and, after Nicky evades him, enlisting as well so he can keep an eye on his sibling. Nicky’s response to his brother has been a complex mixture of adoration and resentment. So not surprisingly, the layers of tricky sibling dynamics could almost be seen in Nicky’s eyes when Jack first came to him in Vietnam. Jack discovered the brother who left for the war wasn’t the same one standing before him, and that shell of a person standing in Nicky’s spot has gotten into trouble with his unit. Jack manages to get Nicky transferred to his unit for monitoring and rehabilitation, but Nicky hasn’t exactly been receptive. “You’ll begin to understand the breadth of what he’s been through and what he’s seen, which I think is what, for most people who aren’t in the service or haven’t served or seen something quite on that level, it’s pretty incomprehensible what he’s been through,” Angarano told E! News. During the latest episode, viewers learned more about the origin of Jack’s necklace and — in the process — about Nicky. When Jack shows compassion to a local woman struggling to carry water, Nicky seems to exhibit no compassion. This extends to the woman’s son, whom Jack asks Nicky to treat when a cut on the young boy’s foot becomes infected. Nicky, a medic, flat-out refuses. However, he does finally offer some insight into his behavior, telling Jack his first commanding officer died when a seemingly innocuous local woman tipped off her Viet Cong brother. So there is a distrust that, while it doesn’t excuse it, explains Nicky’s apparent apathy. And the entire anecdote points toward the deeper truth of Jack Pearson’s brother: He has seen things that have affected him in ways most of us simply can’t imagine. “There wasn’t much you could really do. And watching people die and die on you day after day and lose feet and legs, you could expect how a guy could lose it,” explained veteran and author Tim O’Brien, whom series creator Dan Fogelman enlisted as a consultant to help accurately portray the war experience. As a medic, O’Brien told Variety Nicky would have been “putting his hands in blood every day and losing people,” all the while being left largely unprotected from hostile forces. Coupled with the brothers’ already troubled childhood at the hands of an alcoholic father, it’s not surprising there’s much still left to unpack where Angarano’s character is concerned. So much so, in fact, you might say there’s enough material there to warrant a spinoff. Just sayin’.